The Ashtabula County Barn Quilt Trail was established in 2014 and has grown quickly to include more than 60 of these quilts that are painted on sign board. 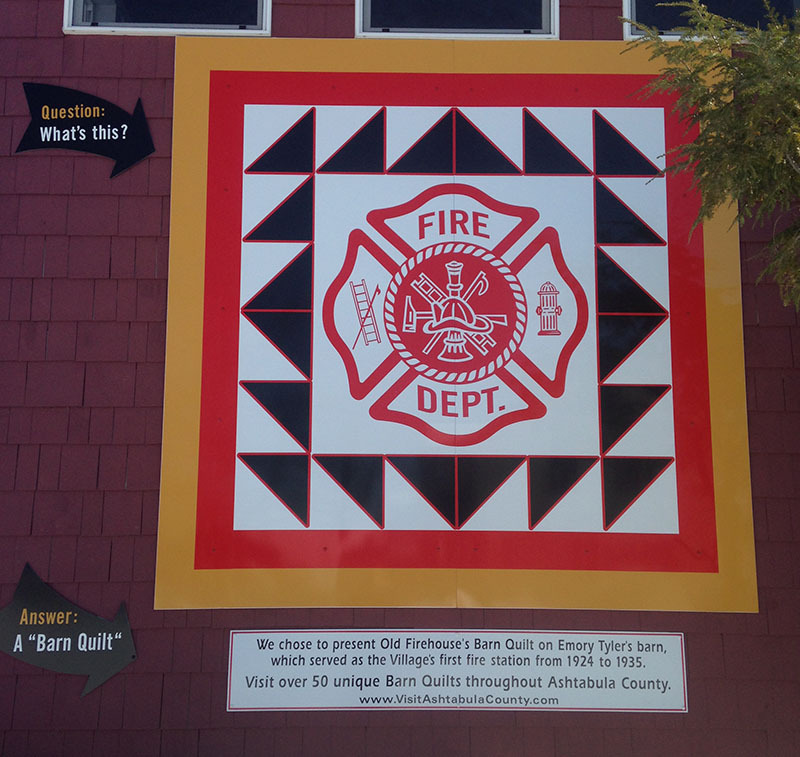 In 2014 The Firehouse Winery added its barn quilt to the side of the building (above photo). 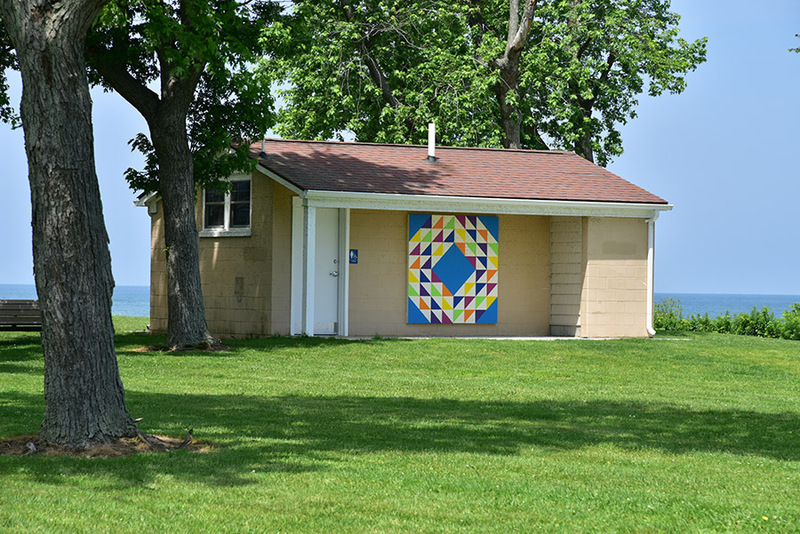 Ocean Waves is the barn quilt on the public restroom facility at Chestnut Grove, east of The Lodge. The Barn Quilt Trail Steering Committee in 2015 received permission from the Ashtabula County Commissioners to place a BQ on the public restroom facility at Chestnut Grove. The “Ocean Waves” pattern was selected. Jeff Scribben of Artistic Woodworks built and painted the quilt, which was funded by the Civic Development Corporation. 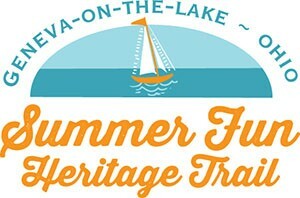 A barn quilts website guides visitors to barn quilts on the trail.